LOOKOUT: Are we there yet? A pilot project led by Louise Blackwell, Charlotte Vivian and James Barton, celebrating creativity and shining a light on lesser known creative roles through a year round programme of workshops, creative collaborations, mentoring & unusual experiences. Working in partnership with 6 artists, local businesses and 20 young people from Benfield Primary School, Portslade and BHASVIC 6th Form College in Hove for the pilot year. Artist mentors: dance artist Anne Colvin, film-maker Adam Sheldon, composer Ed Briggs, theatre-maker Victoria Melody and lighting designer Prema Mehta. Year 5 Benfield students have made a short film with Adam Sheldon. BHASVIC students have taken part in a workshop with Punchdrunk’s Production Manager Andrea Salazar and digital artist Imwen Eke. 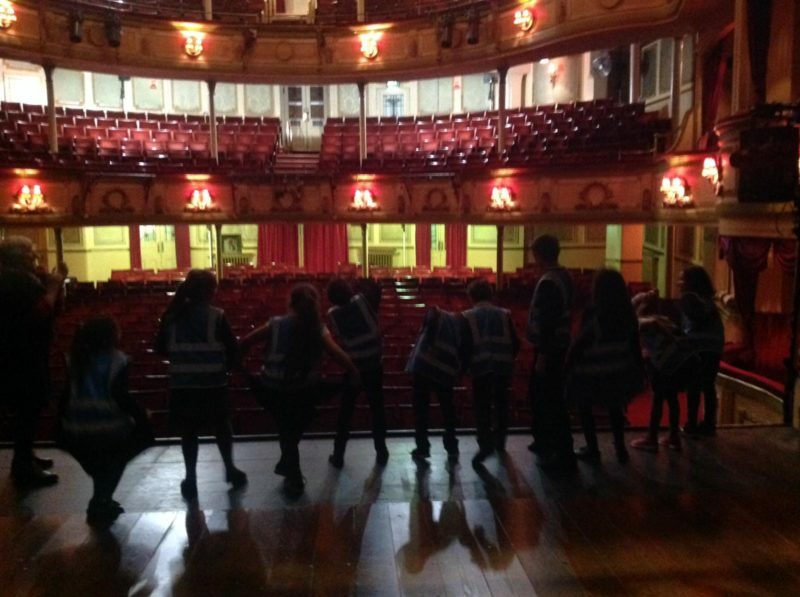 Year 5 Benfield students have visited backstage at Theatre Royal Brighton and got to use the follow spot, raise the curtain and attempt to get a set that’s too big through the stage door. They have also attended Phoenix Art Gallery in Brighton and explored the Project Artworks exhibition and met artists Alice Stewardson and Simon Wilkinson in their studios. 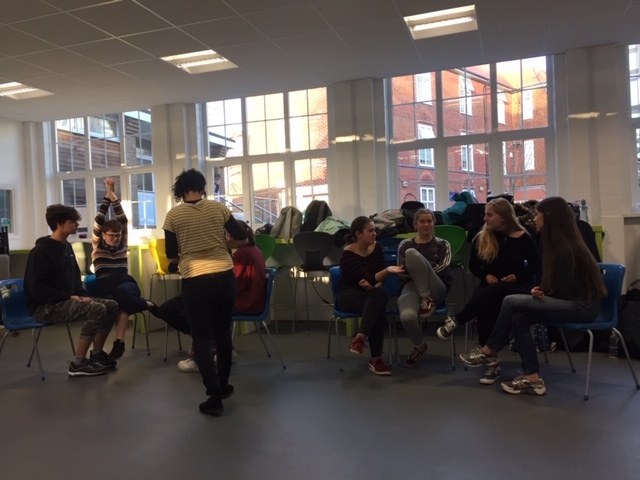 BHASVIC students have taken part in a workshop at The Old Market in Hove with 1927 and have seen the show All the Animals and Children took to the Streets. If you work with young people and are interested in getting involved in the project then drop me a line. Supported by Arts Council England and Brighton & Hove Council. After Thursday's performance @southbankcentre Artistic Directors Suzy Willson & Paul Clark will be in conversation with @elizabethalker - presenter of #Unclassified on @BBCRadio3 - exploring the themes and research that inspired the performance. Listen to Artistic Director Suzy Willson talk about drawing from visual references and the influence of Flemish painter Pieter Bruegel on #OnTheHighRoad. #OnTheHighRoad opens next Wednesday @southbankcentre.